Hello! 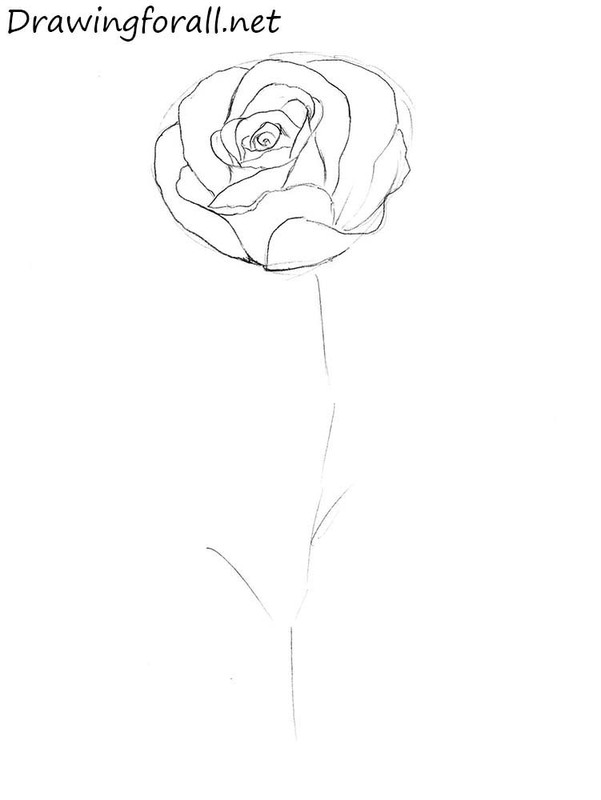 Today we have prepared for you a drawing lesson, in which we will show you how to draw a rose step by step. 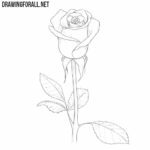 Even people who do not like roses usually recognize a rose bud with drops of morning dew is very beautiful natural phenomenon. 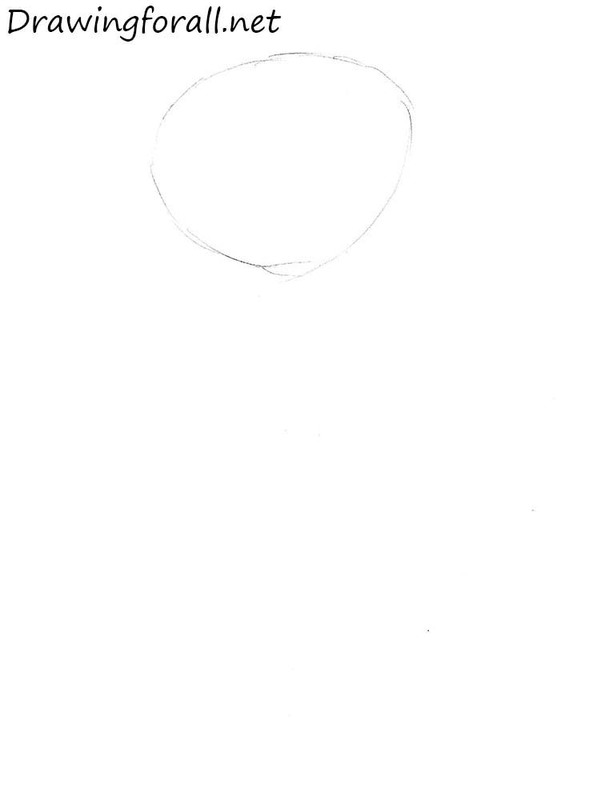 Start drawing with such a circular shape. 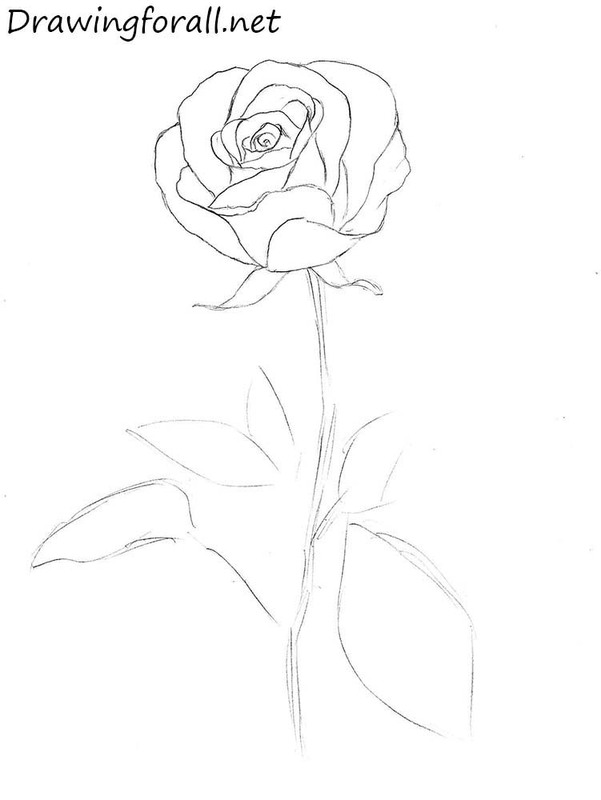 Now we outline the stem, which divides into a pair of branches at the bottom. In the center of the circular shape of the first step we outline the center of the bud. 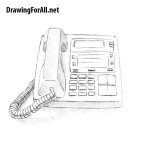 Draw pair of rounded lines around the center. 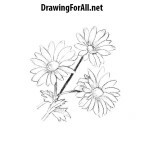 Draw some more petals, which are “hug” the center of the bud. As you move farther from the center the petals will be stationed more freely. Now we are starting to draw the petals, which are more open. They are bigger, we can see their inner part and they are located more freely. 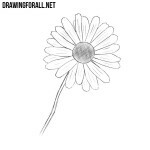 Now draw four very large petals, which located around the previously drawn flower. 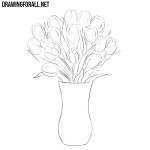 Draw a few large petals, because of which the bud should strongly disperse in width. 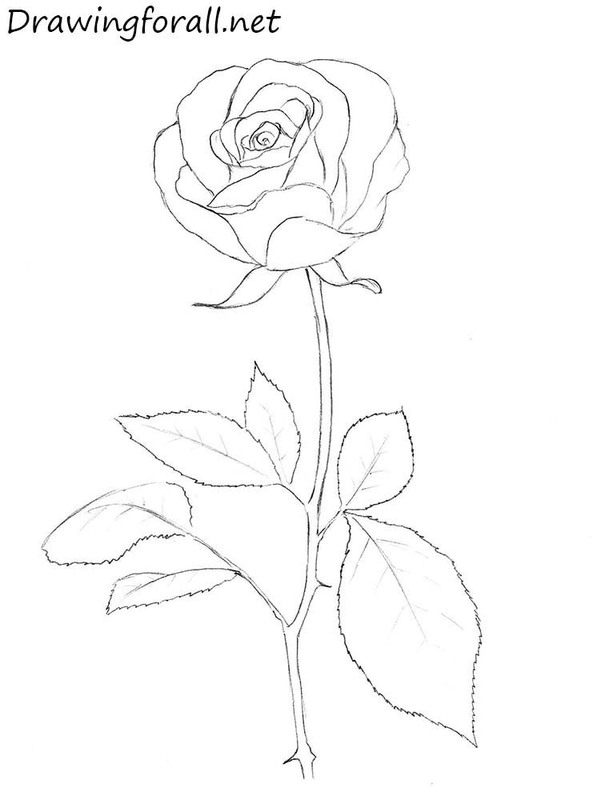 Note that the petals of this step should be very close to the edges, drawn in the first step. Erase the guidelines from the bud. Draw the sepals right below the bud. 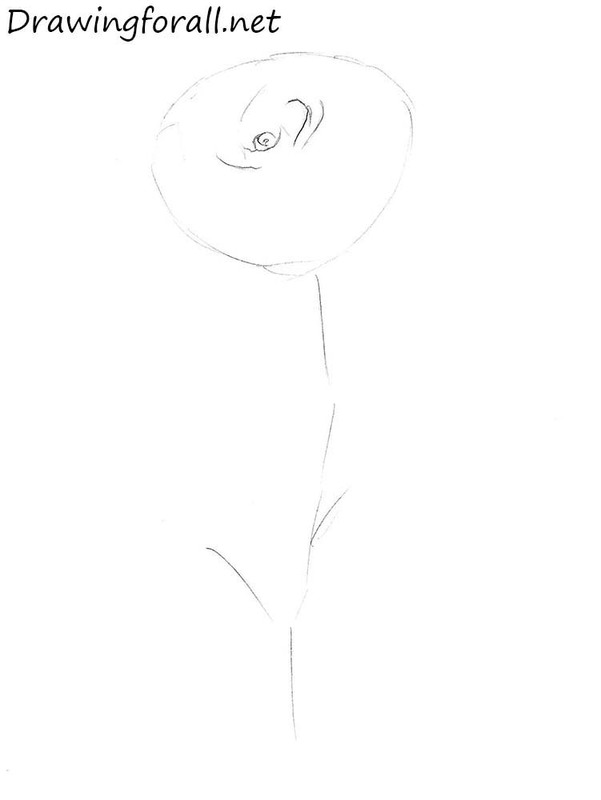 In the same step sketch out the outlines of a few leaves on the stem. The final step circle the contours of the leaves with toothed border and draw the veins on the leaves. 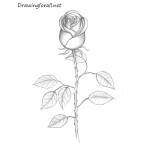 The lesson, in which we talked about how to draw a rose step by step, which was prepared for you by Drawingforall.net. Stay tuned, do not forget to subscribe to our updates in Google Plus, Youtube and Facebook. Very useful. Can you give me a lesson from beginner to upgrade every time i’m connected please?